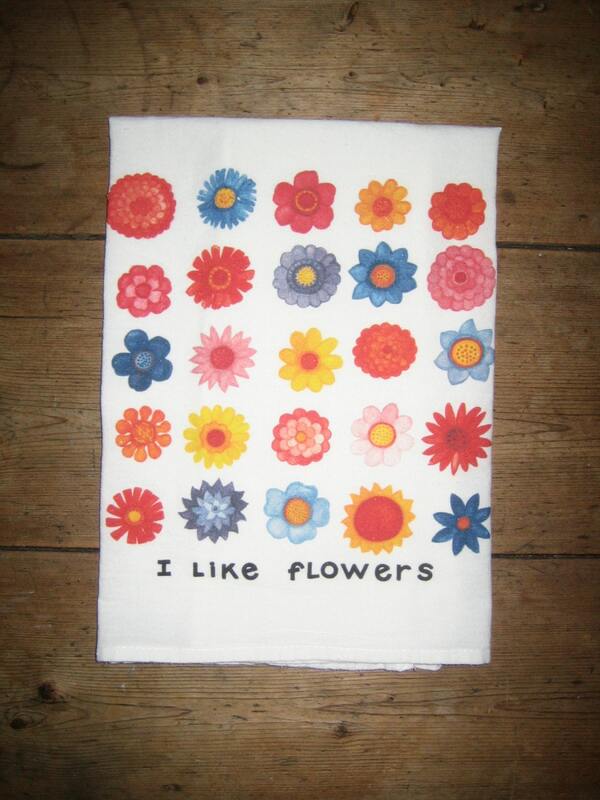 Flowers in bright colors to add some nature and some spark to your kitchen and who doesn't like flowers ? 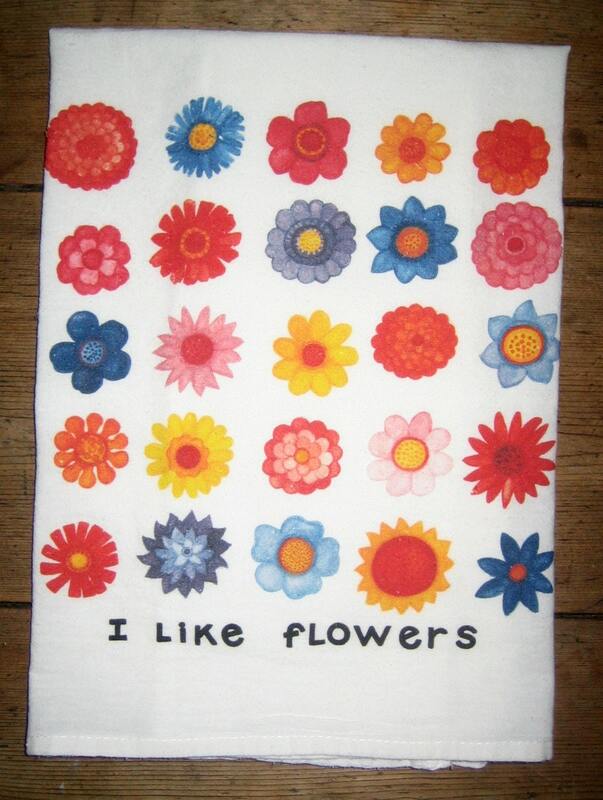 Folk art style flowers digitally printed (for color, softness, and detail) from original watercolor design on nice quality, white, cotton kitchen towel, appx 30x30, design appx 10X10, center, bottom edge. Towel is lareg and meant to be used, design is meant to be shown when towel is folded and hanging over oven handle or a rack.